Not every property is gifted a patch of land. Thus learning to share a garden is something many more of us are learning to do. But at one time, the communal garden was untouched and rarely used. There is now a movement to make more of these green, open spaces but is harmonious sharing of a garden really possible? Sharing, the art and skill of not being super possessive over something, is something we are taught, as children, that is important. From sharing the glitter and colouring pens and primary school to rubbing along nicely in communal areas. We are also taught that there are times when something is ‘ours’, and ours alone. When you buy your dream family home, it comes with a back garden encased on all side by a fence or wall, the boundary to your garden clearly marked. And no one has a right to enter your home or property without your specific invite or a warrant. Balancing this ‘yours, mine, ours’ in life is tough and for many, the idea of sharing a garden dining set is simply not on. A communal garden has, for too long, been an unused green space with residents watching the gardening team work their green-fingered magic. Times are changing, attitudes are shifting, and the shared garden is here. But what does it really mean? Is more than a communal plot to admire. It’s a working garden. Better use of land, soil and green space.As a global population, we are aware of the two extremes of food consumption: there are people starving as there are whole gluttonous populations. As the world population grows, pressure increases on resources and finding enough land to grow food and crops is one. Food waste is another. 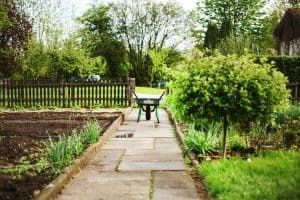 Urban farming in the UK is on the increase. Homes across the country, for example, take in ex-battery hens, give them a home in the backyard and enjoy a freshly-laid egg every now and then. Urban farming and garden sharing is a fight back against what many see as unsustainable and cruel farming and food production methods. But letting chickens and other animals and birds roam free to naturally gives us food doesn’t satisfy demand – or so we are told. The answer, say many, is to roll up our sleeves and produce some if not all of our food. 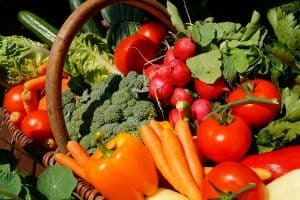 From keeping a brood of chickens to growing our own veg.Here’s the thing: if we all got together, whether that is a group of families on a cul-de-sac or the residents of a tower block, we could till the soil and plant more varieties of veggies and fruits, and in large quantities too. Garden sharers say that popping your head over a fence and asking if you could plant a veg or fruit crop in their garden, and maintain it for them, is also acceptable. Not only will there be people around, activity to watch and food to eat, there is a stronger sense of community too. 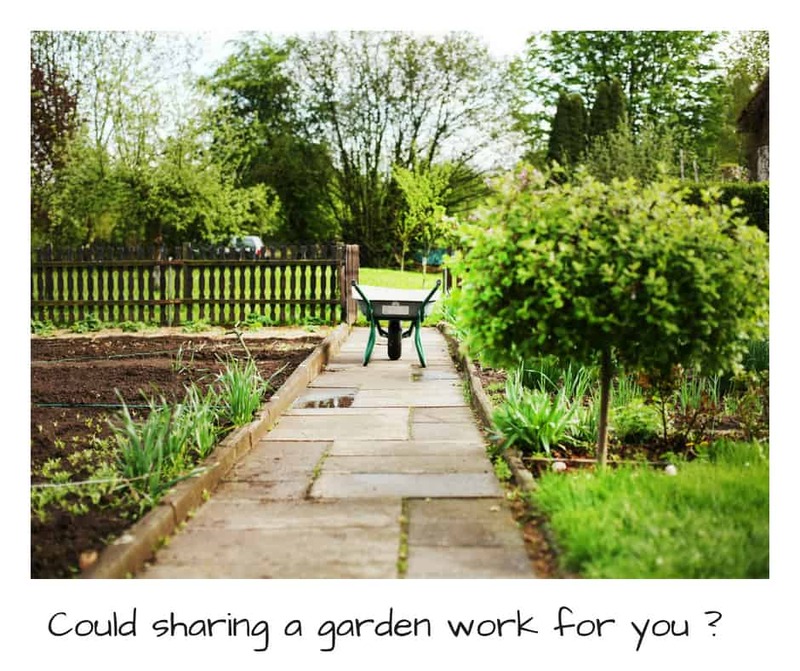 It can be beyond your immediate community too with the project Lend and Tend matching gardeners to gardens that need some TLC and are ripe for growing all kinds of foodstuffs. Soaring food prices in the 1970s placed many in a difficult situation. Sharing gardens and communal gardens to become vegetable plots and fruiting spaces is nothing new because as in the 70s, it is a response, in part, to the injustice that many see in paying more to eat. We have the tools and the resources – a plot of land, a few basic gardening tools, seeds, water and a sprinkling of know-how – is really all you need. There is nothing simpler than planting a seed, tending the plant as it grows and then eating it when the time is right. And why can’t we use all the soil? Why are some patches out of bounds or allowed to remain strewn with litter? 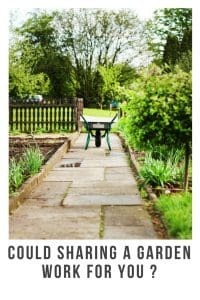 Is garden sharing something you could do? Rattan Direct stocks a range of garden dining sets, loungers and outdoor sofas that are ripe for sharing a garden with your neighbours. Get sociable this summer!